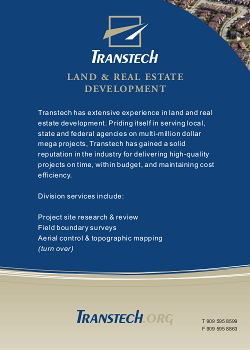 Transtech has extensive experience in land and real estate development. Priding itself for serving local, state, and federal agencies, as well as education institutions and private development on multi-million dollar mega projects, Transtech has gained a solid reputation in the industry for delivering high-quality projects on time, within budget while maintaining cost efficiency. Our strategies are designed to reach, inform, and involve constituents and stakeholders of planning proposals, projects, and programs.